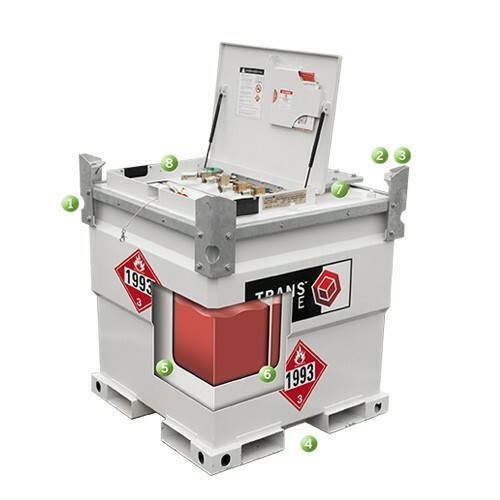 Western Global TransCube 05TCG is a 132 gallons double-walled auxiliary fuel tank, with the dimensions of 46" L x 46" W x 35" H. It is ideal for use in stand-by power applications and refueling for smaller equipment. 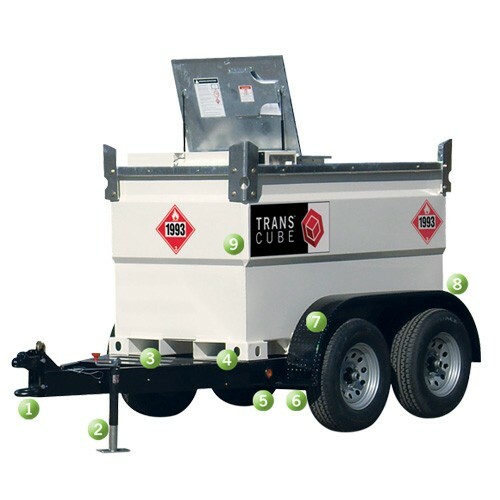 Western Global TransCube 10TCG is a 264 gallons double-walled auxiliary fuel tank, with the dimensions of 46"L x 46"W x 52"H. It is ideal for use in stand-by power applications and refueling for smaller equipment. 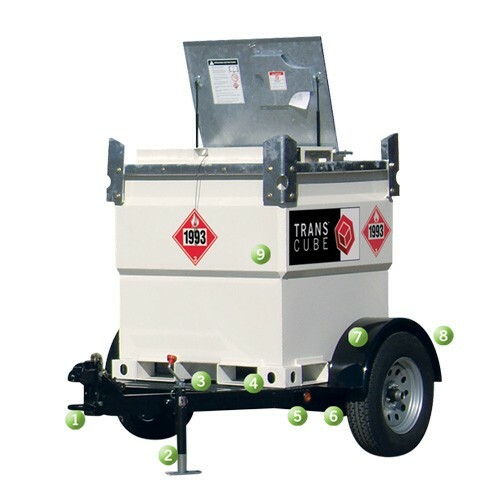 Western Global TransCube 20TCG is a 528 gallons double-walled auxiliary fuel tank, with the dimensions of 87"L x 46"W x 52"H. It is ideal for use in stand-by power applications and refueling for smaller equipment. 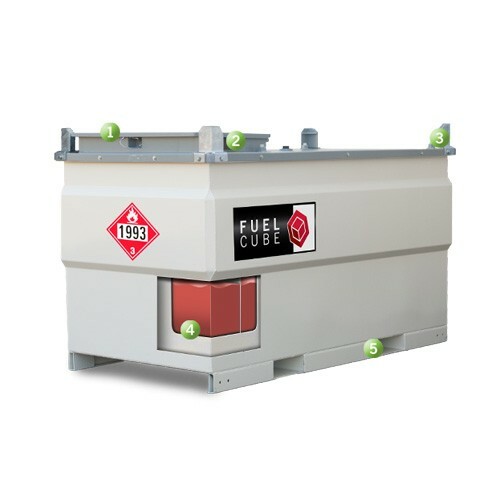 Western Global TransCube 30TCG is a 792 gallons double-walled auxiliary fuel tank, with the dimensions of 91"L x 60"W x 52"H. It is ideal for use in stand-by power applications and refueling for smaller equipment. 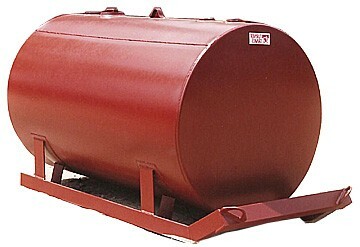 Western Global TransCube 40TCG is a 1000 gallons double-walled auxiliary fuel tank, with the dimensions of 91"L x 87"W x 48"H. It is ideal for use in stand-by power applications and refueling for smaller equipment. 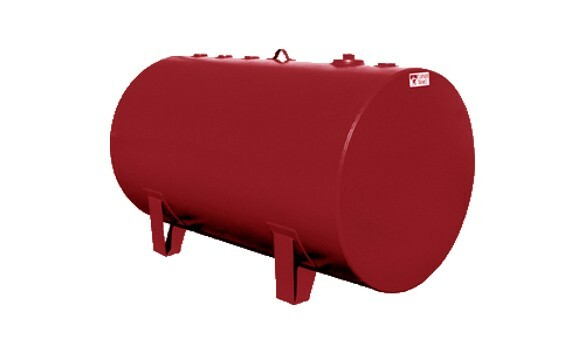 Western Global TransCube 50TCG is a 1240 gallons double-walled auxiliary fuel tank, with the dimensions of 91"L x 91"W x 52"H. It is ideal for use in stand-by power applications and refueling for smaller equipment. 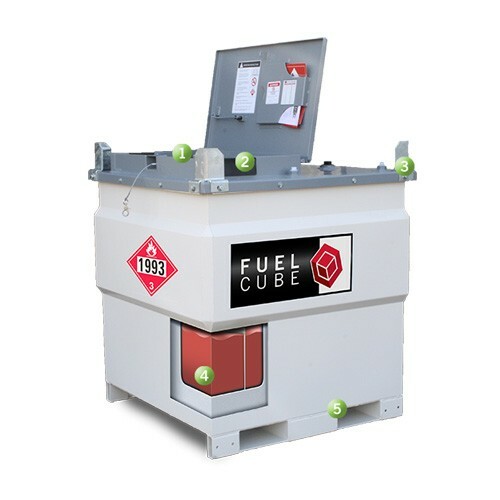 Western Global TransCube 100TCG is a 2165 gallons double-walled auxiliary fuel tank, with the dimensions of 101"L x 93"W x 99"H. It is ideal for use in stand-by power applications and refueling for smaller equipment. 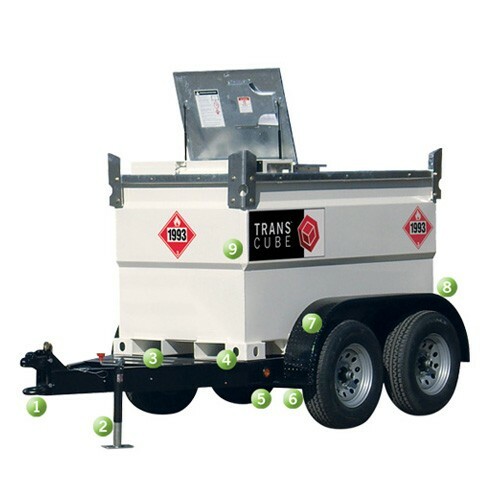 Western Global TransCube RT20TCG Is a Dot approved Highway Trailer. 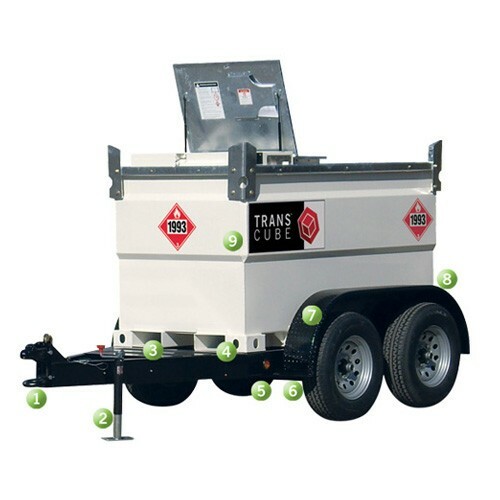 Makes transporting fuel easy and safe . 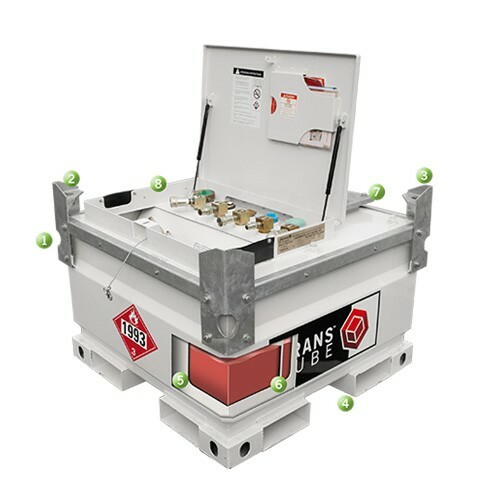 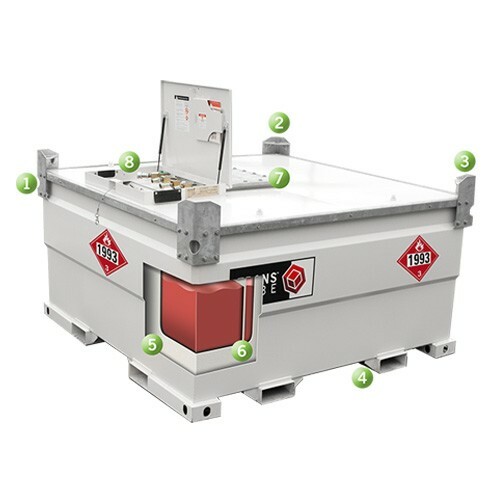 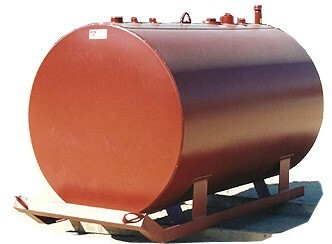 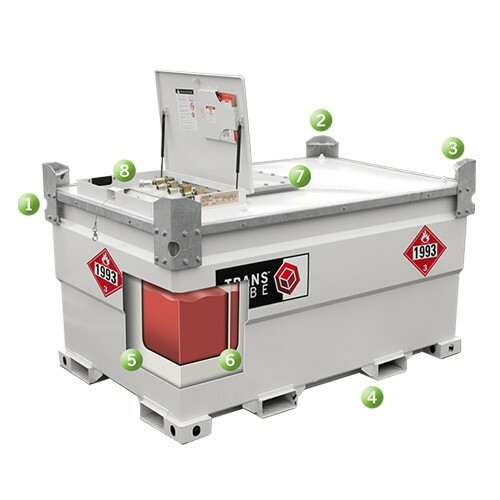 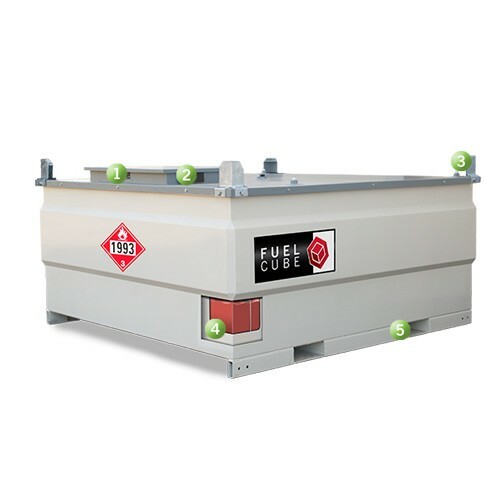 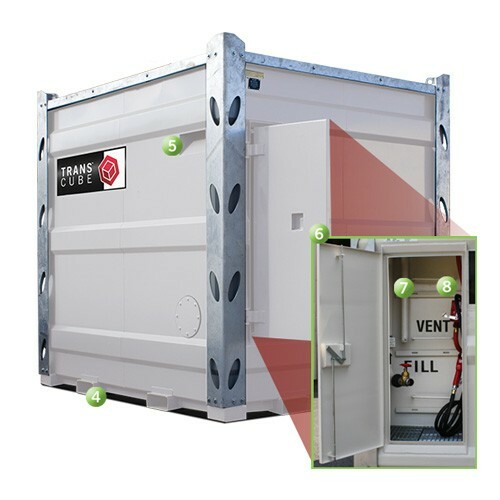 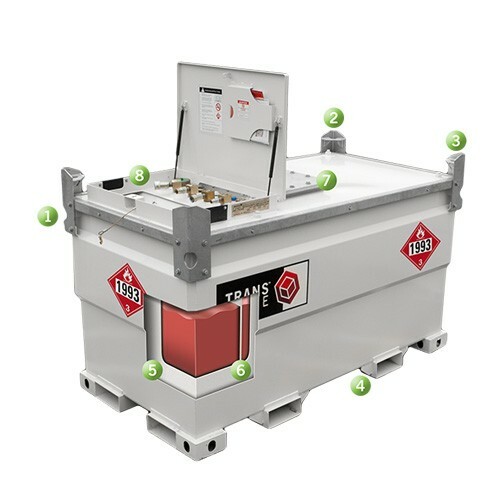 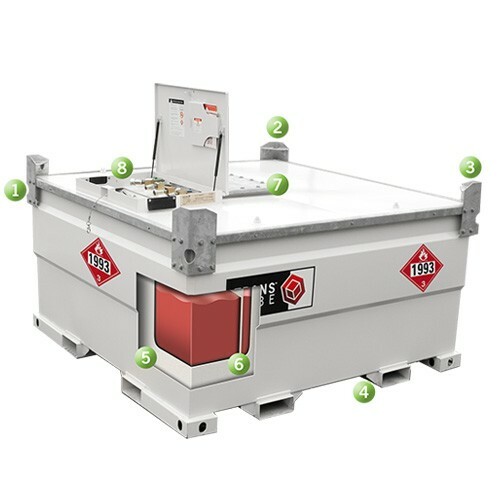 Western Global Fuel Cube FCP250 is a compact, economic, double-walled fuel tank built to IBC specifications for the safe storage, handling, and movement of fuel The tank is 45"L x 45"W x 50"H.